WHAT: Ad network for email newsletters. LaunchBit [ @launchbit ] pairs advertisers with publishers to target specific audiences, mainly tech entrepreneurs and developers right now. LAUNCHERS: Elizabeth Yin, CEO [ @launchbit, LinkedIn ]. Jennifer Chin, COO. INSPIRATION: Email marketing through the right channels can be great for direct marketers, but "doing one-off business development deals with independent email newsletters and email publications simply isn't scalable. So, we decided to build a marketplace to address this," CEO Elizabeth Yin told LAUNCH via email. BUSINESS MODEL: Transaction fee of 25%. 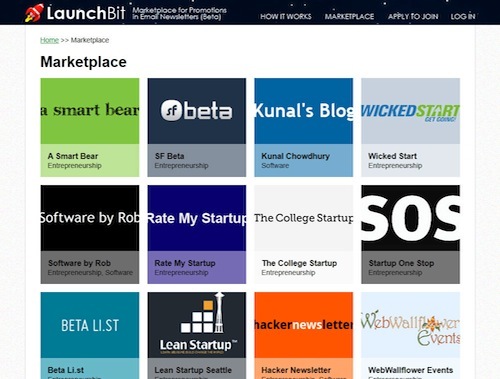 CUSTOMERS/GROWTH: 14 newsletters in the marketplace including BetaLi.st and Lean Startup. COMPETITION: For Email: ividence, FeedBlitz. More generally: AdMob, Jumptap, Mojiva, Google Adsense, ValueClick.